Just a 2-degree Celsius rise in surface temperatures will push the total losses of rice, corn and wheat to approximately 213 million tons each year. As seafood consumption outpaces the growth of other food sectors and continues to grow worldwide, farmed seafood — also called aquaculture — has increased rapidly to meet consumer demand. That means aquatic farming now puts the most pressure on the smaller forage fish harvested to feed their larger farmed counterparts such as salmon, carp and tilapia. 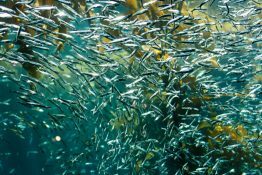 A new study appearing online June 14 in Nature Sustainability shows that if current aquaculture and agriculture practices remain unchanged into the future, wild forage fish populations likely will be overextended by the year 2050, and possibly sooner — even if all stocks were fished sustainably. 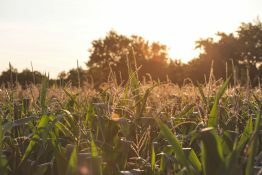 Believed to be the most comprehensive assessment of its kind, scientists were able to determine which kinds of food are the most environmentally costly to produce based on a decade of analysis. 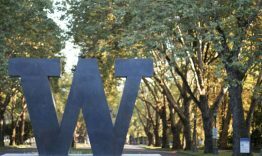 Eliza Dawson, a former UW crew member who majored in atmospheric sciences at UW’s College of the Environment, is part of a four-woman team that will row across the Pacific Ocean to Hawaii this June. She and her team hope to break the world record for women rowers — 50 days, 8 hours, 14 minutes — set in 2014. Dawson is also taking part in the 2,400-mile rowing race from Monterey, California, to Honolulu to spotlight the far-reaching impacts of humankind on the Earth by rowing across parts of the Great Pacific Garbage Patch, a vast gyre of plastic garbage occupying an area four times the size of California.